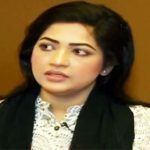 What an impact on the social media in Bangladesh? Hero Alom is the man who has made a terrific impact on social media like Facebook and YouTube. The local actor touched large attention of the mainstream media of the country through usual modeling. He is not a big celebrity one in the country either comes from humble background magically able to win the heart of local people through simplicity performance. His full name is Ashraful Alom. Hero Alom was born at Eruliya village under Bogra District in Bangladesh. He was born in a poor family and raise up to adoptive father Abdur Razzak. 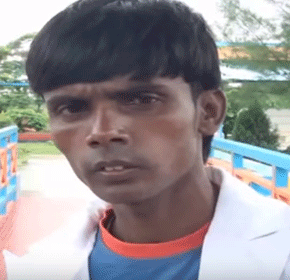 The family handed over Hero Alom to Abdur Razzak due to poverty. Alom studied at a village school until class seven then he landed in work to support the family. He started CD cassette business prior to starting cable network business in his own village. Alom was so much affectionate about media arena from early childhood. He always dreams off to be an actor. Finally, he turned his dream into true in the own way. Hero Alom kicked off the journey in the film industry with the movie ‘Marchakka’ directed by Moyn Biswas with co-actor with Omar Sunny. Alom thinks, it is a great chance for him, he never imagines that he will perform in the cinema. He gives his thanks to the director and all who are associated with the movie. Ashraful Alom used to sell CD once, and would to income handsome money through cable network business. He kicked off the journey in the media arena by performing in the music video. He already has made more than five hundred music video. Actually, he establishes his own trend in the industry and gets more popularity on social media. Alom’s music video widely amused his own village people and spreads his name around the country from the village. Now he is the well-known face in the country. Alom predominately performs in the existing popular Bangla and Hindi song. Hero Alom draws the huge media attention of Bangladesh when he purchases Jatiya Party nomination paper for the Bogra-4 constituency. The news goes viral largely on social media such as Facebook, YouTube, and Twitter across the country. Different types people are talking about his buying nomination paper for appearing in the parliament election whereas he could not win two Union Parishad Election. 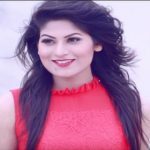 Hero Alom tied a knot with Sumi, she is a village girl who passed SSC. The couple has two children a son-Abir and a daughter –Alo. They lead a very happy family life. ABEY OYE KEHNA KYA CHAHTEHO …!!!! RIP ENGLISH @ md asraful hoda …!!! I hav changed my hair style and all planning plastic surgery to look like you. you are such a superstar , I am a big fan of yours now . all of u may no him but u have no idea who is alom sir.inspired by you sir.Respect you! who bring you in film industry? you don’t acting and you don’t have a personality. then what makes you famous? you look like a T.B patient, who is under treatment. and you are trying to romance with actress with this poopy face? please stop scarring women’s and children’s with your dangerous look. it’s not suitable for you to be a hero. you don’t know acting and you don’t have a personality.